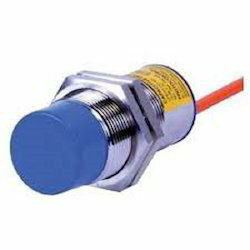 Our range of products include Level Switches such as Cable Ended Float Switch, Conductivity Type Level Switch, Diaphragm Type Level Switch, Level Controller, Level Indicator, Miniature Capacitance Switch and many more items. 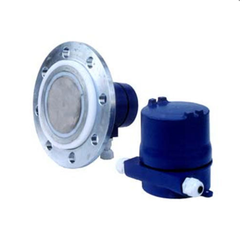 Suitable for all sticky/non-sticky bulk solids & liquids.Suitable for the side as well as top mounting. To fulfill the ever changing requirements and needs of honorable clients, we bring forth a wide range of Cable Ended Float Switch in the market. The offered assortment of switch is assembled with perfection using advance tools and techniques using superior quality components. Provided switch is available in different models and available at best possible price to customers. We assure safe and timely delivery of these products at client place. Level Indicator offered comprise magnetic series level meters that provide for suitable substitute for glass tube level meter. The sensor probe unit has omni-directional sensing pattern and hence on whichever side its tilts, it provides output signal. Supply voltage : 110/240 V AC, 50 Hz. OFF Delay : 1 to 10 secs (Continuously Adjustable). ON Delay : 1 to 10 secs (Continuously Adjustable). Output contacts : 2 NO + 2 NC relay contact. Contact rating : 5 Amp. resistive at 240 V AC. Sensor probe : 38 mm x 250 mm long. 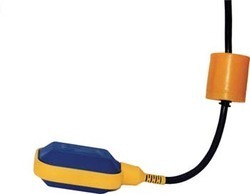 Dry material level sensors are used to measure levels of solid, dry materials (powders). 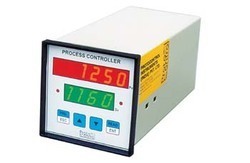 These level measurements can be either continuous or point values represented with various output options. Continuous level sensors are devices that measure level within a specified range and give output of a continuous reading of level. Point level sensors devices mark a specific level, generally used as high alarm or switch. 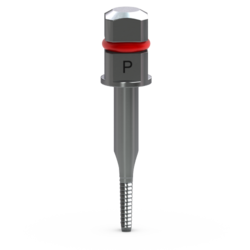 Multiple point sensors can be integrated together to give a stepped version of continuous level. 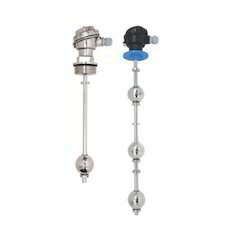 Whether the application involves liquids, pellets, granules, powders, chips or flakes, ABB's RF Capacitance level transmitters feature one of the largest selections of probe elements. In addition, the RF design means there are no moving parts to break or wear out. We are a unique name in this domain to offer our prestigious clients an exclusive collection of Side Mounted Level Switch Miniature Type. Offered product is exclusively designed and manufactured from the quality proven components and modern tools in synchronization with the set industry norms. The permanent magnet is housed inside the float rod and reed switch is housed inside the stationary stem. When the float gets lifted, the magnet is moved into the proximity of the reed switch; the reed switch contact gets actuated. 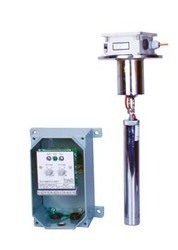 This is most economical level switch designed for single point operation. 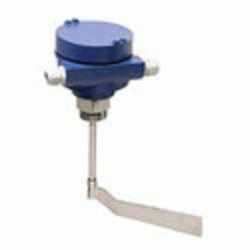 Ideal for monitoring level of liquid in small tanks. Suitable for liquids like clear water, lubricating oil, chemicals, and coolant having density of 0.8 to 1. Note : Switches with other stem length are available. Consult factory. 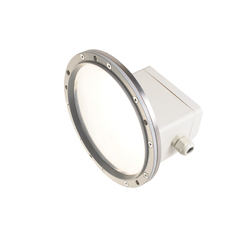 The float assembly is provided with a rod which moves in a transparent acrylic tube. The rod carries magnet / M S flag which is sensed by switch kept outside the tube. Hence hi-low switching can be generated by using two switches. The switch assembly is to be fixed on the tank whose level is to be monitored. The float moves up and down inside the tank. 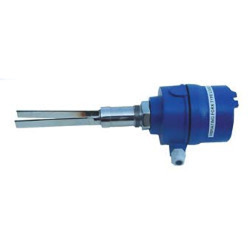 Details Required : Liquid to be sensed, Length L (max), Switch type : Magnetic / Inductive Type , Number of switches, Max Liquid Temp, Max Operating Pressure. We are a pioneer firm with the main objective of presenting a top class range of Paddle Flow Switch to our deemed customers. Offered flow switches are fabricated with utmost precision at our end under the surveillance of professionals and our dexterous team. In addition to this, our quality editors take charge of delivering an error free range at the patrons end to attain maximum level of trust and patron satisfaction. 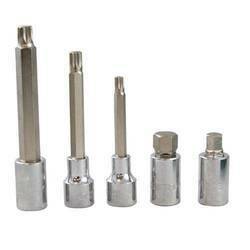 Moreover, patrons can avail these products in various sizes and grades. As the latest technology is used to design and develop a best collection of Control Instruments which offers best performance at clients end. The offered collection of product is well known for its hassle-free performance and widely used in various sectors. These products are available in diverse sizes and specifications to fulfill the varied requirement of our huge clientele in a best possible manner. 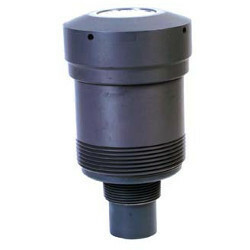 We are Leading supplier of Diaphragm Type Level Switch. 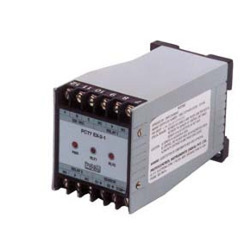 we are leading supplier of Level Controller. 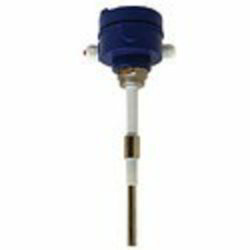 We are leading supplier of Radar Level Transmitter. 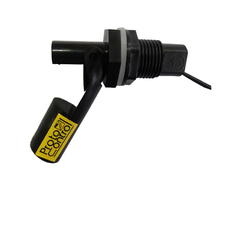 We are leading supplier of Vibrating Fork Type Level Switch. 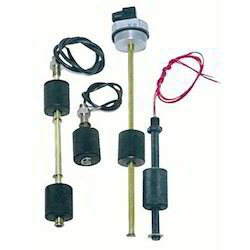 We are leading supplier of Vibrating Rod Level Switch. Our organization is a prominent name in the industry in providing Ultrasonic Level Transmitters to the clients. Ultrasonic Level Transmitters are manufactured under the supervision of a team of experienced and well-trained employees utilizing qualitative material and others. Offered range is broadly demanded due to long lasting and excellent finish. These products are largely acclaimed by valued customers. Offered range is known for attributes such as like easy to use and long operation life. 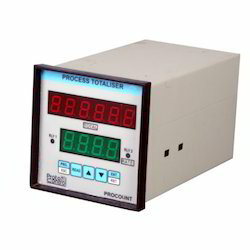 These products are well tested by quality controller on different parameter. Looking for Level Switches ?